Thetechguy2000 is a pretty smart kid who has a new video up talking about metric time. He has obviously read Lyle Zapatopi's A Guide to Metric Time, since he mentions Lyle's proposed quinto prefix for 10-5, so 1 quintoday is equal to 0.864 second. He also talks about Swatch .beats Internet Time. Editors' confession: In "Dark Page" (TNG), an entry in Lwaxana's journal dated stardate 30620.1 is established to be during the year in which she got married, 2328. Unfortunately, under the Star Trek: The Next Generation system of stardates (which allocates 1,000 stardate units per year, and puts the beginning of the year 2364 at stardate 41000) the beginning of the year 2328 should be around stardate 5000. Star Trek technical consultant (and Chronology co-author) Mike Okuda decided that a four-digit stardate would be confusing since this sounds like an Original Series number, so he arbitrarily picked 30620, even though it is not consistent with stardates used elsewhere in the show. In "Appendix I: Regarding Stardates" they give more information, such as the fact that "As with the original series, an increase of a single unit within an episode corresponds to about 24 hours, even though this is inconsistent with a 365-day year." They also relate a theory that stardates in The Original Series represented months and days from the beginning of a mission, so 1312 indicated thirteen months and twelve days, and 5928 was about five years, although there were plenty of stardates which would have more than 31 days, as in "Errand of Mercy", which took place between stardates 3198.4 and 3201.7. Assuming 100-day months, that would be more than twelve years spread over 46 months. In Star Trek 30 Years Special Collector's Edition, it states that Gene Roddenberry "borrowed the notion from the Julian date currently used by astronomers...Roddenberry borrowed the five-digit [Modified] Julian date, shortening it to four digits and renaming it 'stardate.'" I've long suspected that this was the case, due to the strong similarity, such as the subtle use of decimal time: "For Star Trek, Roddenberry added a single digit after the decimal point (50335.2, for example) to represent one of 10 time increments in a 24-hour period." There was an earlier work, Star Trek Spaceflight Chronology by Stanley and Fred Goldstein, published the same month as Star Trek: The Motion Picture in 1979. Based upon references in The Original Series, the show was set in the early 23rd century, 2207-2210. In the 1980s FASA made a game called Star Trek: The Role Playing Game which used this Chronology. They created "reference stardates" in the form C/YYMM.DD, where C is the century (actually the second digit of the year), YY is the last two digits of the year, MM is the month and DD the day, so January 1, 2000, was 0/0001.01, and the episode "Where No Man Has Gone Before" was 2/0705, or May 2207. Stardates in the 1900s are negative, so this episode aired on -1/6609.22, which was also the day my sister was born. Of course, this early Chronology was ignored when TNG was made, and TOS was then set to about 300 years after it was produced. I posted last month about stardates in Star Trek Online. With a bunch of math and experimentation, and with a little help from the webmaster of STO Academy, I figured out exactly how they work. there are exactly 1,000 Stardates per year...Stardate 00000.0 began on May 25, 2322, at 00:00 hours. Wait, what? This threw me at first. This year is different from previous years. That is because it's a leap year, so instead of 365 days there are 366, but there are still exactly 1000.00 stardates from January 1 through December 31. That means that the stardates run a little slower than previous years, so instead of 2.74 per day there are 2.73, or about one second slower per 0.01 stardate. That is because there are 221 days from May 25 to January 1, and 221/365 = 0.60548, even though it's a leap year. So with this information, you should be able to use stardates anywhere, not just in the game. Where day-of-year is the number of days from January 1, including the time as a fractional day, found by dividing the hour by 24, e.g. January 2 at 12:00 UTC is 2.5. Length-of-year is 365 in common years, 366 in leap years. 221 is the number of days from May 25 to the end of the year. So for August 19, 2012 at 02:50:54 UTC: 1000×(232.11868/366 + 2012 - 1923 + 0.60548) = 90239.68. For years I have seen two different definitions of Truncated Julian Day (TJD). One said that it was the Julian Day with the first three digits truncated, so that it was never more than four digits. The other said that it was a count of days midnight of JD 2,440,000, or May 24, 1968 (MJD 40000.0). 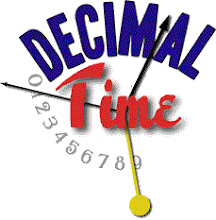 These two definitions resulted in the same number, until JD 2,450,000, or October 10, 1995 (MJD 50000.0). By the first definition, TJD changed from 9999 to 0, and by the second to 10000. I never knew the whole story, which definition is correct, and how it came to be, until now. The Day Count System - The four decimal digit day count system is derived from the truncation of the three most significant numbers of the present seven decimal digits of Julian Day Number (JDN), thus the name the Truncated Julian Day (TJD). TJD is arbitrar:ly chosen to begin from 0 at midnight May 24, 1969, (sic) and ends 9999 at midnight October 9, 1995 after which it recycles to zero. The repetition period is 27.4 years. A conversion table from TJD to calendar data in year, month, and day is given in Table II. The four decimal digits of a TJD number are represented by a 14-bit binary number. By this definition, TJD is always a truncation of the Julian Day, and is never more than four digits, or 9999. Since it is a binary field represented by 14 bits, it could not physically exceed 16383. Furthermore, this is an integer value. The time of day is not represented as a decimal fraction, but by a count of seconds of the day from midnight, as well as optional milliseconds, microseconds and nanoseconds. But that's not the whole story. A modified time code called PB-5J was later defined with 16 bits for TJD, which allows for integers up to 65535, corresponding to dates up to October 28, 2147. TJD values greater than 9999 can be found for the year 1995 and after, and a NASA web site converts to and from TJD for any positive value. So there actually are two different definitions of Truncated Julian Day, one in PB-5 and the other in PB-5J, and it appears to me that the latter superseded the former. At August 6, 2012, 05:14:39 UTC SCET (MJD 56145.21850) the Curiosity rover landed in Gale Crater on Mars. (SCET stands for Spacecraft Event Time, since it took until about 14 minutes later for the data transmission to reach earth.) In Mars time that was 05:50:16 AMT (MSD 49269.24), about 15:00 local time. AMT is Airy Mean Time, also known as Coordinated Mars Time (MTC), because it is the Local Mean Solar Time at Airy Crater, which marks zero longitude on Mars. MSD is Mars Sol Date, and like Modified Julian Dates it is a count of Martian days, which are called "sols", but from December 29, 1873 (MJD 5521.5). Another sol count is started whenever a craft lands on Mars, so that was on Sol 0 for Curiosity. There is currently one other craft active on Mars, Opportunity, which was on Sol 3034. Opportunity is near the Martian Prime Meridian, one hour behind AMT, but Curiosity is on the other side of the planet, 9 hours, 9 minutes and 40 seconds ahead of AMT. Note that sols are longer than earth days by nearly 40 earth minutes but are divided into 24 Martian hours, so each hour, minute and second is 2.7% longer than those on earth. Thus, the mission operators start their shifts 40 minutes later each day. To keep track, they use a Java program call Mars24, which you can download from NASA. By default it displays AMT and LMST for Curiosity and Opportunity, as well as MJD and MSD with two digits of decimal time. You can also find more information at Wikipedia.